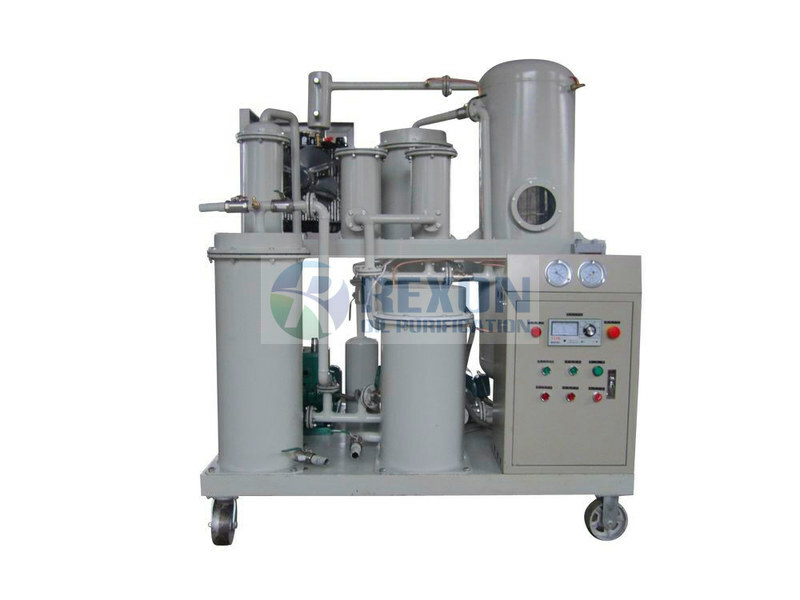 What is a lubricating oil purifier? What’s functions it has? What is a lubricating oil purifier? What functions it has? Rexon lubricating oil purifier is used for purifying any industrial lube oils. It takes vacuum dehydration system (remove emulsified water, all moisture completely) and 3 stages filters, and another coalescing-separation filter (remove large quantity of water fast) together to remove out the impurities, tiny particles and water/moisture, gas/air and all contaminants from the used oil completely to purify oil and cleaning oil. After treatment, the final oil's parameter and quality will be improved and comes out very closely to new oil’s standard.